Daybreak Games, the studio born out of Sony Online Entertainment’s acquisition last year, has cancelled the next instalment in its MMO franchise EverQuest Next. Daybreak president Russell Shanks made the announcement on Friday proclaiming that the game simply ‘wasn’t fun’ after more than seven years in development. The game caused much excitement upon announcement at E3 in 2010, showing off a structure-building and terraforming aspect to the series’ usual fantasy MMO fare. 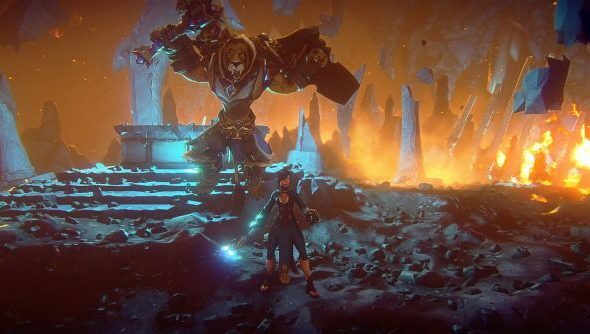 EverQuest Next becomes the second free-to-play fantasy game in as many weeks to be canned despite lengthy development times, following in the footsteps of Fable Legends as Lionhead Studios was shut down earlier this week. Fellow F2P MMO developers Carbine Studios, creators of WildStar, also suffered lay-offs on Friday when as much as 40% of the studio’s staff were let go.